Popular cell phone apps West students are using. Have you ever looked through the app store and seen the app “Fill”? Or maybe your friend recommended an app to you called “Gacha Life”? You might not have wanted to take the time to get the app and find out what it is, so you just forgot about it. These apps, along with others, including “Game Pigeon” and “Marco Polo” are fairly popular among teens and young adults. Gacha Life is used for creating your own “anime-styled characters” and displaying them in different scenes. Along with this, the developers have recently added additions that allow players to explore different places and make friends with other characters, as well as a feature that lets the user play mini-games. 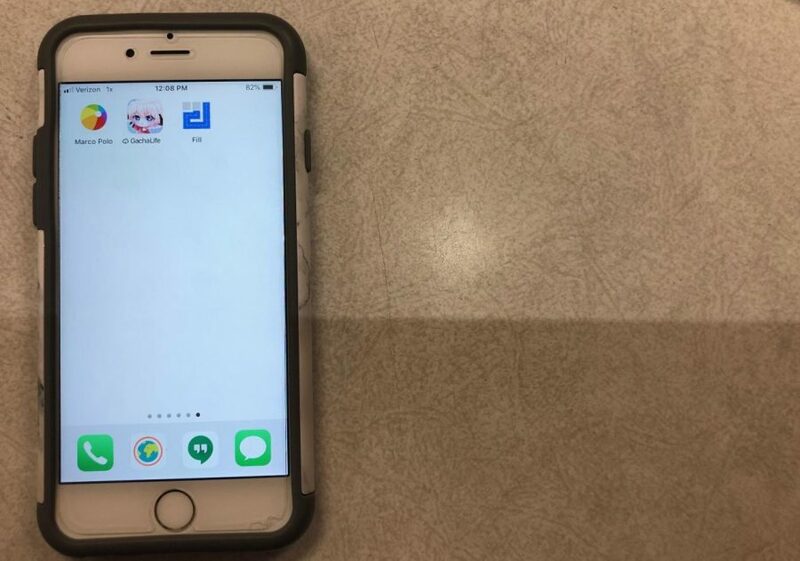 West student Lessa Gharaibeh says, “I like how you can customize a lot of the stuff.” However, Gacha Life can lag at times which can be frustrating. Game Pigeon is an app that allows you to send a mini-game to anyone on iPhone Messages and allows you to play each other. As of now, the app has 23 games to select from. West student Elise Detgen explains, “My favorite game pigeon game would probably have to be filler…” Game Pigeon does have in-app-purchases but unlike many other apps, you are still able to access a lot while using the free version. Fill is an addictive puzzle game that is free to play. The goal of the game is to fill in the shape with one line. You could be playing Fill for hours and not even realize a minute went by. West student, Ally Hawkins explains, “I also like how when you’re bored it gives you something to do.” Alternatively, fill has many ads which can be annoying sometimes. Marco Polo is an app that lets you send live videos to your friends or your friend group your friends can send emojis or messages back to you. These videos or messages can be short or long. West student Victoria Tan says, “I like the app. It’s very interesting.” The only issue with the app is some friends might not have it. Your friends need to have the app to view the video. I really like the article. I might play some of the other ones. I really liked the article, but….. WHERE’S HELIX JUMP?!?!?!?!?!?!?!?!?!?! Your article is amazing I could write an essay on it but I won’t. I tried all these games and you described them perfectly.